For those of you still earnestly hanging on to New Year’s diet resolutions, grappling with temptation like Indiana Jones wrestling a greased wild boar . . . I’m sorry about this! Really! Because I did, indeed, just say pumpkin. And cheesecake. And bread pudding. All in the same dessert, y’all. You’re going to want to step away from the rice cakes and start slicing up some brioche right about now. This is how it all began. 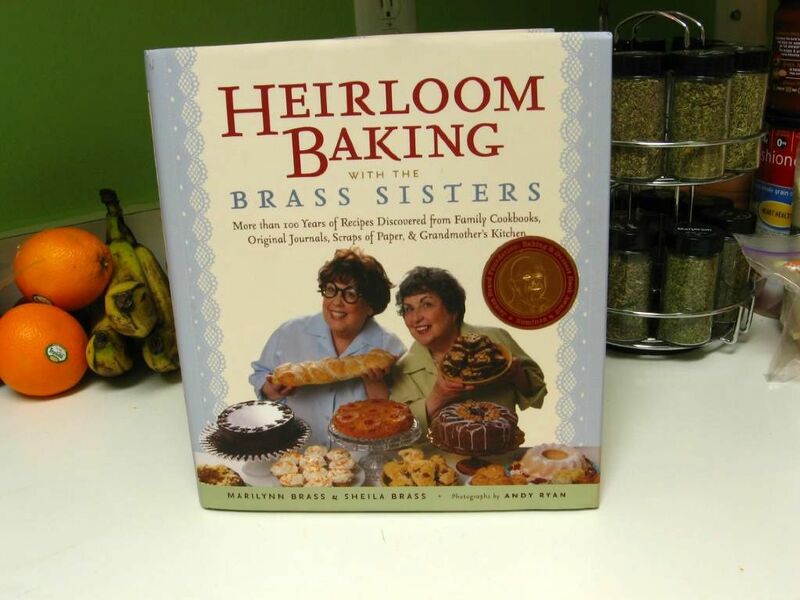 I have a new cookbook I’ve been carting around with me and fawning over: Heirloom Baking with the Brass Sisters. I actually bought it as a Secret Santa gift for my Sunday school Christmas party, but then couldn’t go at the last minute. So I kept it. And was secretly really glad that I got to keep it. That sounds terrible, doesn’t it? Let me explain! Heirloom Baking is “more than 100 years of recipes discovered from family cookbooks, original journals, scraps of paper, & grandmother’s kitchen.” You know the box in your kitchen stuffed full of your great aunt Ida’s best dishes, scrawled down in her own lilting handwriting? Or the dusty, well-worn church recipe album from 1982 that includes pictures of every church member — thick-framed glasses, 80s hair and all? Those recipes are some of the best: loved and fiddled with by generations of family cooks, served annually for decades, passed down verbally or jotted on scrap paper. If you’ve ever wished you could round up all of your family recipes and solicit your friends for theirs, you’ll love Heirloom Baking, because that’s exactly what the Brass sisters have done for you. Obviously, I am in love with this charming book. Recipes include Brass family favorites as well as personal recipes from collections the sisters found at flea markets, yard sales, used bookstores, or friends’ houses. 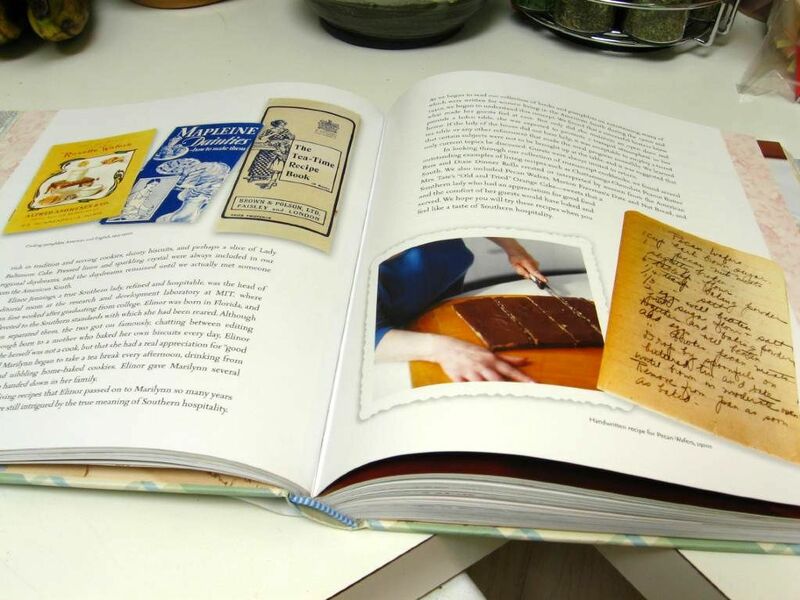 Scattered throughout the book are gorgeous images of the original recipes, dated cookbooks, and antique bakeware. 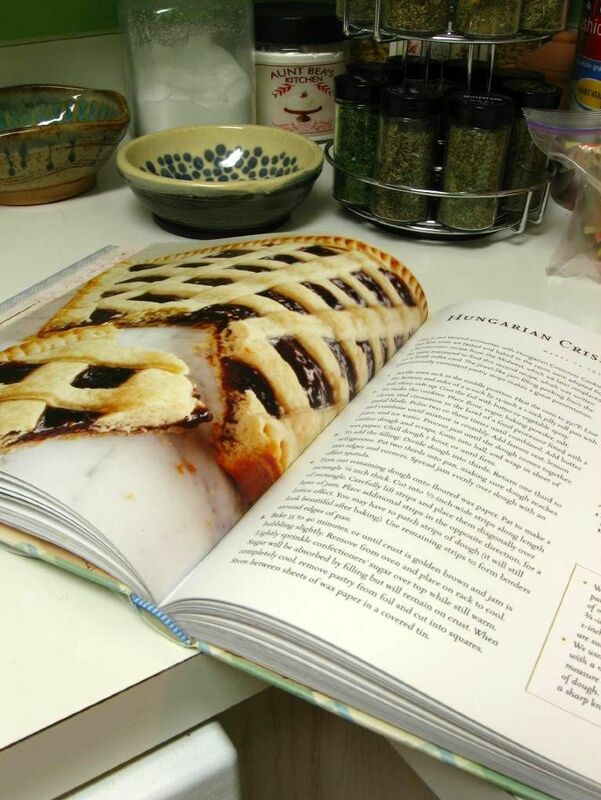 Mike and I amused ourselves for an hour flipping through pages, perusing lovely images of handwritten recipes from decades and centuries past, and drooling over the full-page photographs of delicious baked goods. Let me stop being quite such a fangirl and just say, simply, that the book was nominated for a James Beard Foundation Baking and Dessert Book Award for good reason. Book Stats: 312 pages, $29.95 list price ($19.77 on Amazon), indexed. Accessibility: Enough information for a beginning baker. Examples of Recipes: Auntie Dot’s Dutch Apple Cake, Chocolate Bread and Butter Pudding with Plum Jam, Louise Zimmerman’s Cookies Without a Name, Ida’s Cheese Turnovers, and various other assortments of cookies, cakes, puddings, breads, pastries, and pies. Overall Impression: Fun to read because of such intriguing subject matter and engaging anecdotes. Full of exciting recipes and photos. In case you’re wondering how I managed to convince Mike to enjoy a cookbook with me for longer than a millisecond, it has a little something to do with my offer to make him anything he chose from its pages. I’m not above a little strategic bribery! 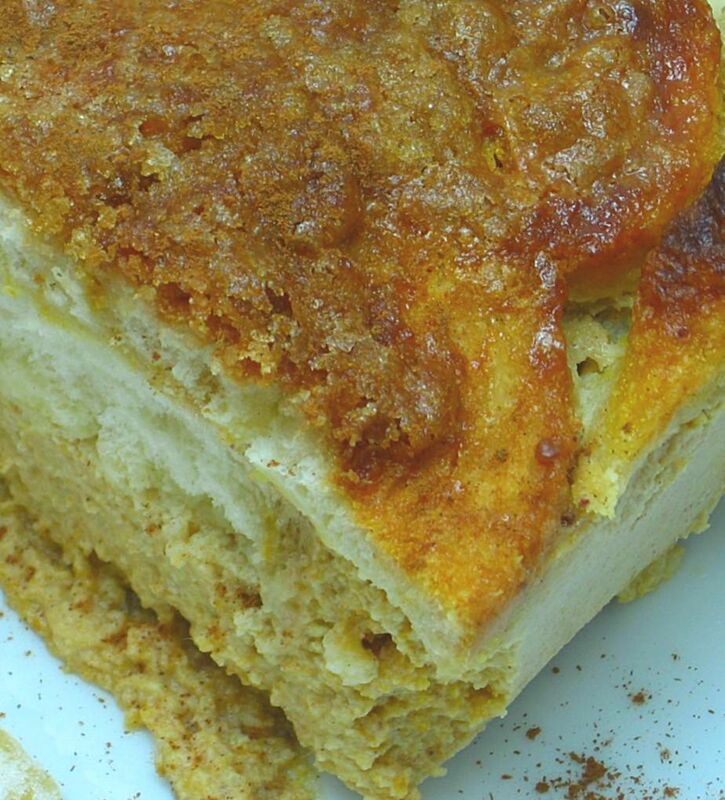 It was a difficult decision, but he settled on this rustic and beautiful Pumpkin Cheesecake Bread Pudding. You already knew he had good taste, right? I hear he’s got a pretty awesome girlfriend. Just something I heard . . . Truth is, this pudding was fantastic. 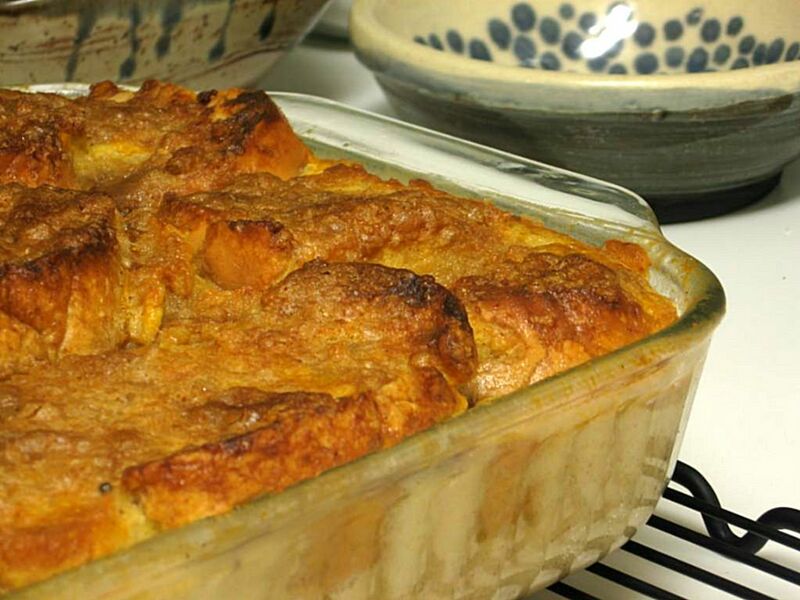 Bread pudding is the soul food of dessert for me: humble, dense, and gorgeous. 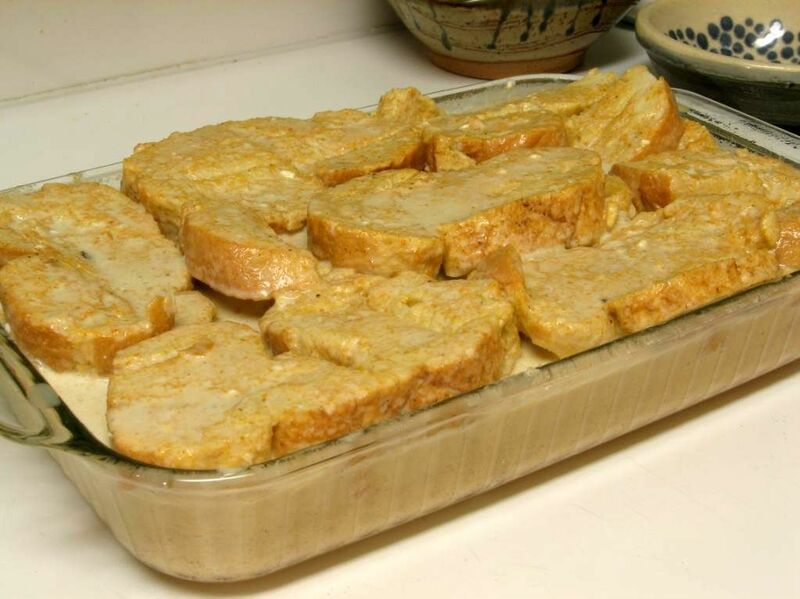 It’s a peasant dish in its thrift and convenience; it makes use of sometimes stale bread or cake scraps by soaking them and baking them into a filling new dish. It’s also a dish fit for royalty: luxurious, silky, warm, and indulgent. The toasty, custardy texture reminds me of the milk toast my family used to covet for breakfast each morning: buttered toast topped with cinnamon-spiked, buttery hot milk. 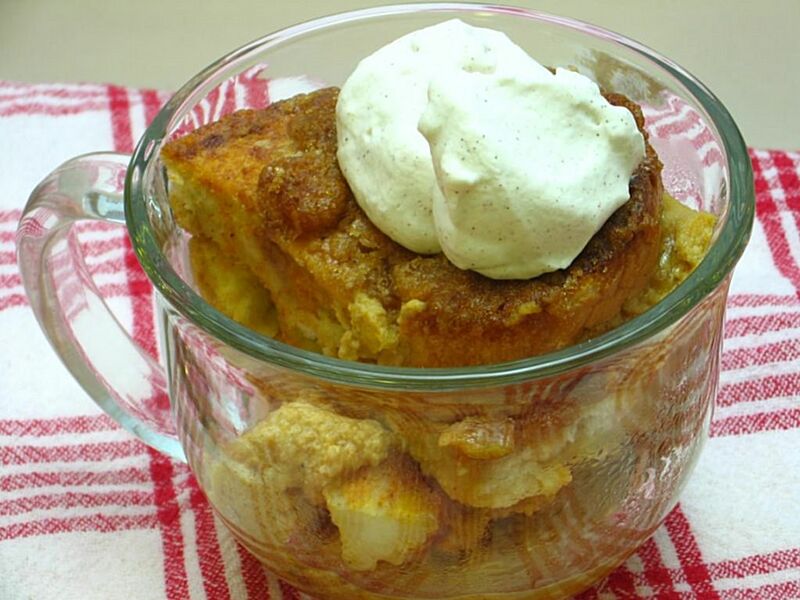 But this bread pudding takes bread to a whole new level. Pumpkin, spice, and cream cheese form the delicious custard base poured over and around sliced brioche (or in my case, a firm loaf of fresh-baked Italian bread from my local grocer). The best part of the pudding, though, is definitely the buttery brown sugar topping that crisps up on the top layer of bread, forming a gorgeous, golden brown layer of cinnamon toast! The flavor combination couldn’t have been more perfect — the pumpkin was light and balanced by the cream cheese custard. Even Mike’s granddad, who is not enamored with pumpkin, said he loved the pudding. I whipped up some fresh cinnamon whipped cream (2 cups heavy cream, 1 teaspoon cinnamon, icing sugar to taste) to heap on each serving. Ice cream would also be delightful, or just pour a little cold heavy cream over your puddin’ and dig in. 1. Set the oven rack in the middle position. 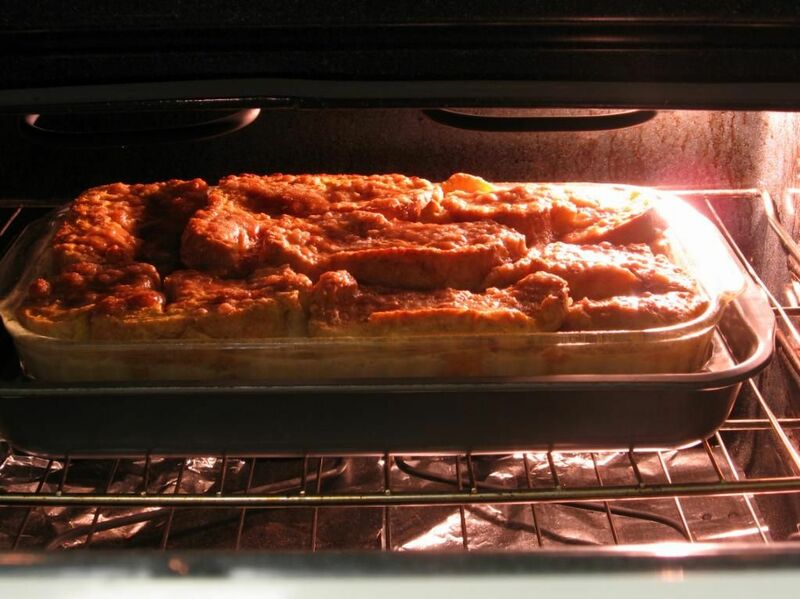 Preheat the oven to 350 degrees F. Coat a 9-inch by 13-inch ovenproof glass baking dish with vegetable spray. Set aside a larger metal baking pan and rack for the water bath. 2. To prepare the bread: Brush each slice of brioche on both sides with melted butter. 3. To make the custard: Combine cream cheese and sugar in a bowl and mix until smooth. 4. Combine eggs, pumpkin, milk, heavy cream, vanilla, salt, allspice, ginger, nutmeg, and cinnamon in the bowl of a standing mixer fitted with the paddle attachment (Note: I used my hand mixer without difficulty). Beat until smooth. Add cream cheese mixture and combine. 5. Pour 1/2 cup pumpkin custard in bottom of baking dish. Tilt and swirl dish until bottom is completely covered with a thin layer of custard. Layer 6 slices of brioche on top of custard. Pour half of remaining custard over brioche. Add remaining brioche and custard in layers. 6. To add the topping: Use a knife to cut 8 slits through layered pudding. Cover top of pudding with plastic wrap and press down gently with your palm. Let stand 15 minutes. Remove plastic wrap and sprinkle brown sugar over top of pudding. Pour melted butter over sugar. 7. Place baking dish on rack in large metal pan. Pour hot water from a glass measuring cup into the outer pan until water level rises halfway up sides of baking dish. Place carefully in oven. Bake 1 hour to 1 hour and 15 minutes, or until top is nicely browned and custard has rise to top of baking dish (Note: I covered very loosely with foil to prevent top from getting too brown, but did not crimp foil down so as to avoid steaming the crisp topping). Check water bath occasionally and add more water if needed. Do not let the water evaporate form the water bath. 8. Carefully remove baking dish from oven and water bath. Allow pudding to cool on rack 1 hour. 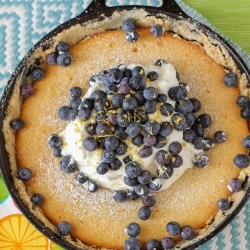 Serve slightly warm or cold with whipped cream or vanilla ice cream. Store covered with a paper towel and plastic wrap in the refrigerator. Reprinted from Heirloom Baking with the Brass Sisters by permission of Black Dog & Leventhal Publishers, Inc. © Copyrigh 2006 Marilynn Brass and Sheila Brass. Soaking bread, and then the whole pudding in the oven. How fun! It sounds like a great way to start the year =D. And, its kinda healthy, there is pumpkin and cheese in there, right ;D.
Julie, this looks delicious! And that book sounds fabulous. My collection of baking books has been growing a lot lately – I might have to add this one too. Thank you, Megan! I think you’d love the book! It’s so much fun to flip through — and it has sooo many more recipes I can’t wait to try. This looks incredible. 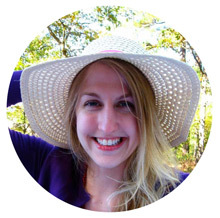 I’ve added the book to my Amazon wish list and the recipe to my “to do” list! I love how they reprinted the exact recipe cards into the book. It reminds me of the Griffin & Sabine book series. Thanks, Valerie! We loved looking at the recipe cards too! There actually isn’t one with every recipe, though — those images are in the chapter headings and occasionally with the recipe. The recipe itself usually just includes a blurb about where they found it and why they like it — fun to read! Julie, do you eat the leftovers cold or do you reheat? I would love to make a tray to bring to work. My coworkers are too skinny. Is it OK to warm up in the microwave? Haaa, Chris, that is so benevolent of you! Your coworkers are gonna love ya. Here’s what we did: because it can be eaten cold or sightly warm, we stuck it in the microwave for just a bit — just to get the chill off and warm it a bit– before topping it with whipped cream. I’m sure it’d be good straight outta the fridge too. I agree with you 100%. 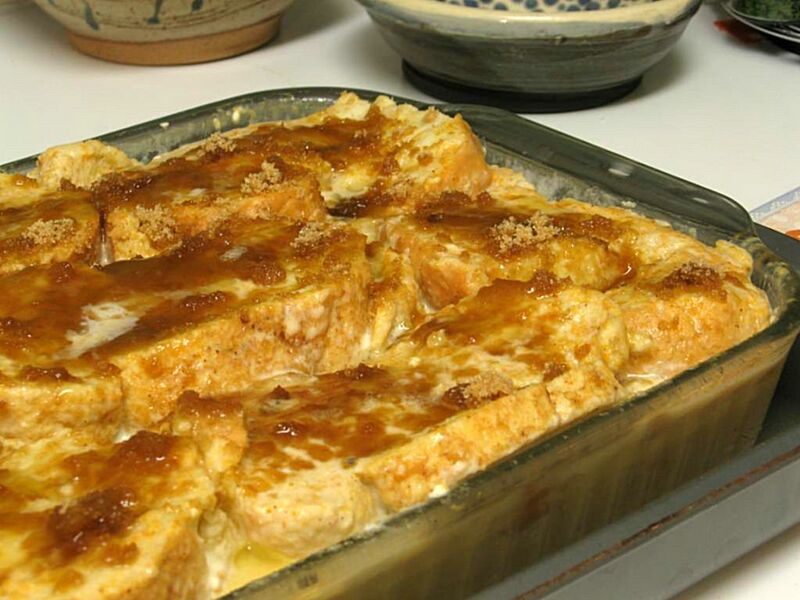 My family loves bread pudding and this recipe just takes it to a whole other YUMMY level! 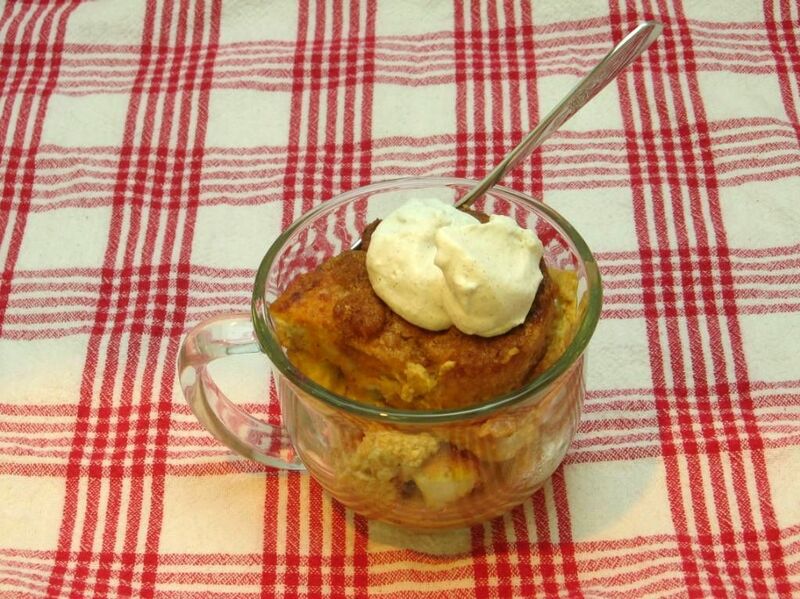 And just when I thought I was done making variations on bread pudding here’s another one to try. Looks absolutely delicious. I love that book too Julie! I made the Lemon Poppy Seed Cake. I’m going to try this for a ladies luncheon. Did you use fresh instead of stale bread and did you trim crusts? The photos don’t appear to have trimmed crusts. Thanks for your time and the recipe! I used day-old Italian bread. I didn’t trim the crusts, mostly because I forgot, but I think they lent a nice texture. The top layer is crisp while the bottom is custardy, so I liked the crust for contrast. Enjoy! This looks amazing!! I am enjoying baking with pumpkin this fall and would love to try this! I’ll start my diet tomorrow.ha ha. I bought too much stuff for Thanksgiving deserts. So I found your wonderful recipe in my search for something different to use up my left over pumkin, milk and eggs. I didn’t have enough cream cheese so I substituted marscapone. It was awsome. Hurray! Thank you, Kathleen!! So glad you all enjoyed it! 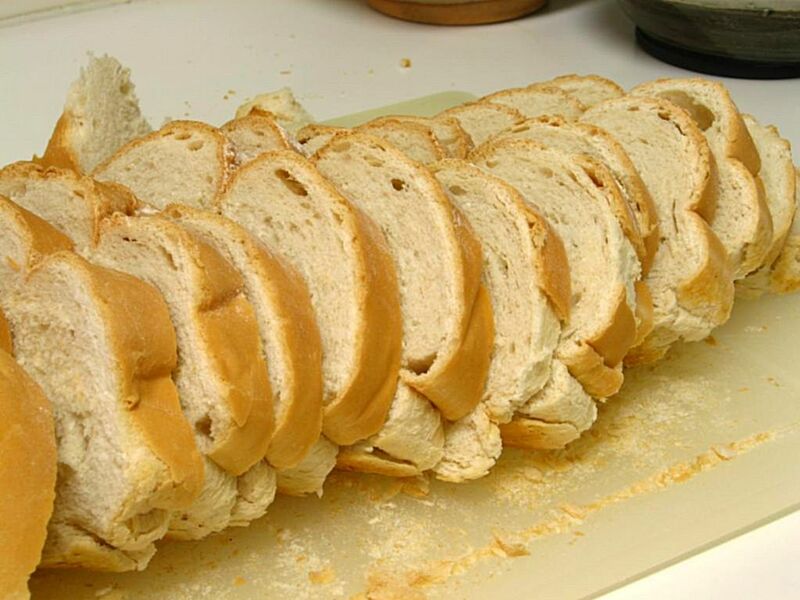 Do you use stale bread for this recipe. Also, if I make this dish a day in advance, how do I reheat it , so I can eat warm. Hi Jackie! I do use stale bread, because it absorbs more of the moisture. If you make it a day in advance, you can reheat the whole thing in a 350 degree oven until it’s warm. Hope you love it!